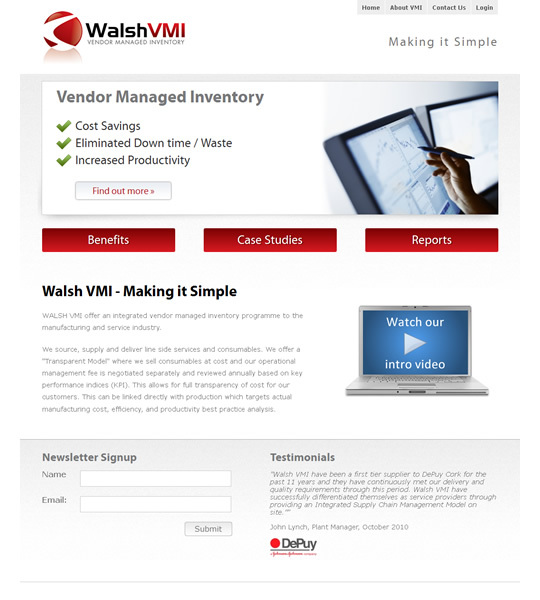 Walsh VMI offer an integrated vendor managed inventory programme to the manufacturing and service industry. They source, supply and deliver line side services and consumables. Enhance designed a stripped down look for this website to let the service speak for itself, after all their strap line is “Making it Simple”! 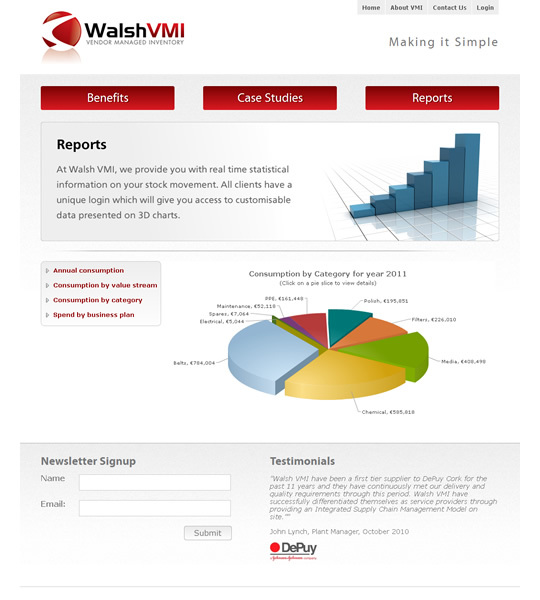 Enhance created a bespoke CMS for easy updating of information and introduced a custom “slider” for the homepage and 3rd party charting software for the Repots section.